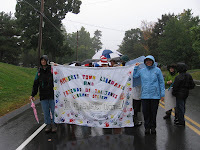 Friends of the Jones Library System News: The Jones Library was at the town parade! The Jones Library was at the town parade! 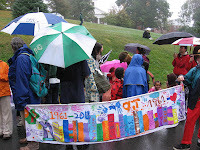 Children and adults carried colorful banners celebrating the town libraries at the 250th anniversary parade on September 27th. In spite of the rain, the banners looked great!